Clean & radiant. Good-for-you organic. 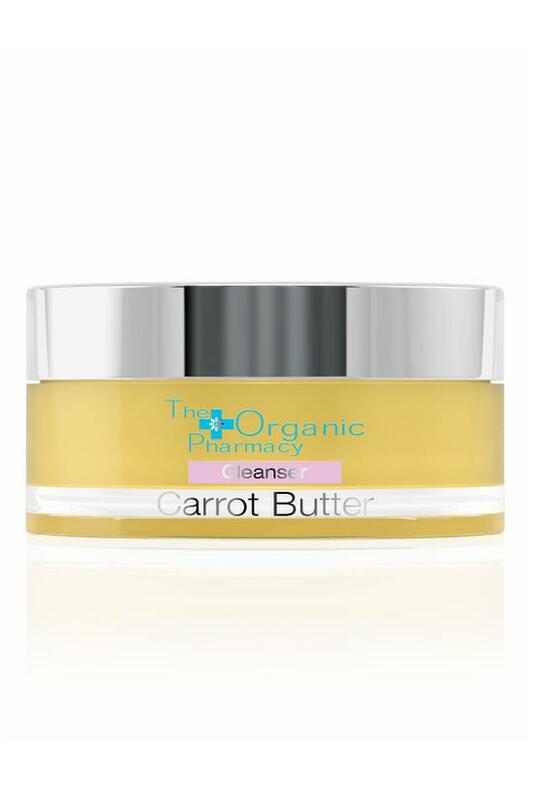 Make a clean sweep of all makeup, dirt and dead skin cells with this luxe, organic carrot butter balm cleanser. Powerful enough to remove stubborn eye makeup, but gentle enough to not stress delicate eye tissue. Skin is clean, soft & luminous. Apply a small amount of Carrot Butter Cleanser on to dry skin with your fingertips allowing the cleanser to fully dissolve grime and make-up. Remove with your muslin cloth soaked in hand hot water. This will boost circulation and fully remove the cleanser leaving the skin radiant. Margo Marrone began her career as a pharmacist, but when she discovered homeopathy, it completely changed her life. She was stunned to see all the harmful toxins in our food and cosmetics. That inspired her to create her own signature line dedicated to all things organic, centered on the principals of homeopathic and herbal medicine. Carefully hand-blended in their London factory, The Organic Pharmacy uses the most pure and safe ingredients for glowing, healthy skin, naturally.